SCMHRD has yet again put together a phenomenal Summer Placement Season and continued its strong legacy as the youngest premier business school to be ranked amongst the Top 20 in the country. As a testament to the quality of students and SCMHRD’s noteworthy industry standing, Summer Placements for the 2016-18 batch of SCMHRD witnessed a record number of job offers secured by students across different verticals such as FMCG/ FMCD, Consulting, E-commerce, BFSI, Telecom, Manufacturing and Technology, Information Technology, Pharmaceutical, Infrastructure, etc. More than 50 recruiters visited the Campus during the Placement week placing 90 % of the batch. Industry bigwigs like Colgate Palmolive, HUL, P&G, Dabur, Perfetti Van Melle, Titan, Aditya Birla Group, GE, Genpact, Arcesium, Capgemini, Cisco, Honeywell, Castrol, HSBC, ITC, JPMC, L’Oreal, Philips Lighting, Philips Health-Tech, Development Bank of Singapore, Goldman Sachs, Pidilite, Reliance, Vodafone, Yes Bank, Cummins, Idea, IBM, Wipro amongst many others participated during the week. This season also saw new recruiters like Godrej Consumer Products Ltd., Danone Nutricia, EY, Boston Scientific, Samsung R&D, Aon Hewitt, HSBC, Maersk Line, Sun Pharma, Volvo Eicher, Apollo Munich reflecting industry’s growing faith in SCMHRD and its talent pool. Putting up an exemplary performance, this year saw a 36% increase in average stipend, setting a new benchmark. With the highest stipend emerging as INR 2.50 lac and an average stipend of INR 1.14 lac for the 2016-18 MBA batch, SCMHRD fortified its reputation as a premier B-school. *This is the Interim Summer Placement Report. The placement report of SCMHRD adheres to IPRS and has been thoroughly audited and approved by CRISIL. IPRS enables stakeholders like media, recruiters and other B-schools to contribute in designing a comprehensive Placement Reporting Standard which are a fair comparison between B-schools on multiple parameters including compensation. Reliability of the data is ensured as the reports undergo a thorough third party audit process. It was an initiative by IIM Ahmedabad and followed by reputed B-schools in India. This report is a reflection of our commitment to bring in more transparency and professionalism to the entire placement process. These standards would not only help aspiring students in taking career decisions based on correct information, but also upholds the trust shown by companies in us. SCMHRD, once again beat expectations and raised the bar with the Final Placement Season 2015-16. SCMHRD witnessed stellar placements, both in terms of the compensation and the wide variety of profiles on offer. SCMHRD being one of the most trusted and revered B-Schools in the country witnessed the participation of premier business houses and corporates in this year's Final Placements. The Batch of MBA 2014-16 also saw an increase in number of PPO/PPIs reflecting the industry's growing faith in SCMHRD's MBA Programme and its talent pool. SCMHRD scaled new heights by placing around 90% of the batch in the placement week. 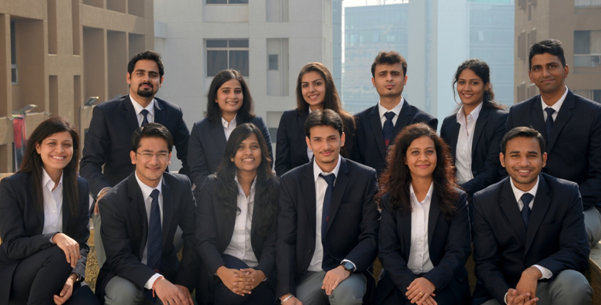 20% of the MBA 2014-16 batch received Pre-Placement offers and Pre-Placement Interviews from prestigious business houses like Aditya Birla Group, Cisco, Cummins, Dell, Deloitte Consulting, Glenmark Pharma, GSK-CH, HUL, HSBC, HCL, Interglobe, Idea, JP Morgan Chase, L’oreal, Mahindra, Perfetti Van Melle, PWC, Pidilite, Tata Motors, Titan, Wipro etc. 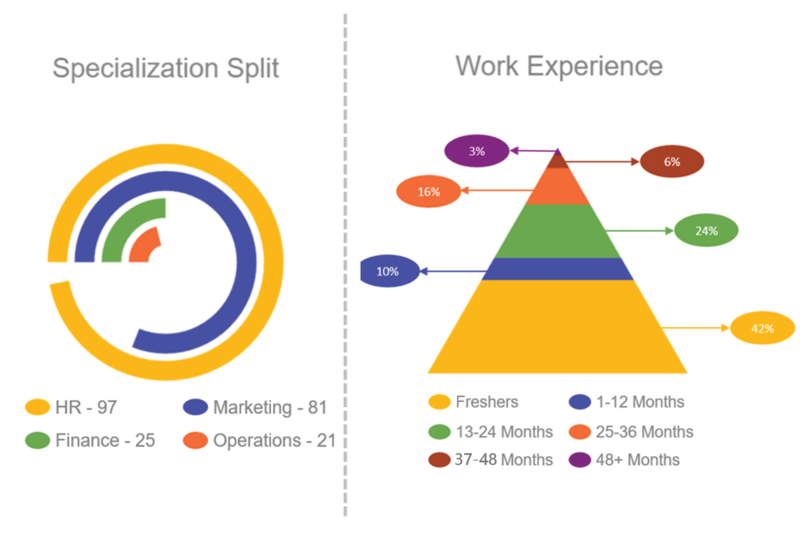 The fact that Final Placement Season 2015-16 saw enthusiastic participation from varied sectors of the industry like Conglomerate, FMCG, Manufacturing, IT, E-Commerce, Consulting, BFSI, Infrastructure, Logistics, Pharmaceuticals etc. stands as a testimony to SCMHRD's reputation as one of the most sought after B-Schools in the country today. The prominent alumni of the institute extended generous support and played a pivotal role in bringing some of the marquee brands to the campus. Their help and assistance helped SCMHRD spread its wings in different sectors and helped our students to bag coveted profiles. We are thankful to our alumni for extending us continuous patronage. *Note – The above data is subject to audit. Final Placements 2010-12 - Click Here to view report. Final Placements 2011-13 - Click Here to view report. Final Placements 2015-17 - Click Here to view report. 22 Prajnan Sengupta 2015b36 MBA 2015-17 3rd Labkafe(Oriental labs Retail Services Pvt Ltd) - www.labkafe.com E Commerce Aniket Thakur (CEO - aniket@labkafe.com) Dr K Rajagopal 8 Aug 16 15 Oct 16 Work In Progress To generate and convert Leads in Pune (To visit schools, colleges and dealers and to convince them to purchase products of Labkafe, which are Lab equipments for Physics, Chemistry, Bio and Maths Lab) To increase company's footprint in Maharashtra, starting from generating leads and converting them in Pune Till Now - 3 Potential clients discovered. Deals in progress This project requires outdoor appointments scheduling and meeting potential clients as per their convenient schedule. 47 "Project Appraisal of Infrastructure Projects with hands on experience of one Solar Power Project and one LNG Terminal Project"
56 Integrating Wipro's Oracle Retail Global Practice Career framework with Wipro career framewor. 77 Structuring of contracts for solar power plant. Impact of Brand and Product Visibility and Influencers Analysis in Multi-Brand Stores:the case of Air-conditioners. To make strategies for the launch of various categories like Organic products, Pet Food, General Merchandise etc. Research on opening a branch of McDonald's in Vellore. How to scale in a market(Travel industry) with extremely high level of competition and non differentiated product offering. Establishing best practices for embedding & branding values and incentives for labour. Establishing HR processes and training of low level laborers. 88 Low Production Efficiency in Ludlow Jute Mill Ludlow Jute Specialties Pvt. 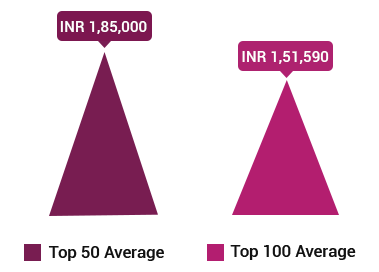 Ltd.
10 Consumer Engagement Options for Gum On ITC LTD.
19 To identify and tap alternate channels and generate consistent demand through long stays. Oyo rooms. 33 Summer Internship at Remondis Aqua India REMONDIS Aqua India Pvt. Ltd.
45 1. Redefining Manpower Based Contract to Job Based contract for the contingent workforce 2. Design and Develop the Junior Manager Development Program Cummins India Ltd.
57 Skill Gap Analysis of Prof. Employees in TCL entity of CIL Cummins India Ltd.
63 1. Design and Launch the Automation of Freight Change Based On Fluctuations in the Price of Diesel 2. Analyse and Identify the opportunities in saving Truck Detention Cost in the Transportation of Beer to Market SABMiller India Ltd.
72 Optimising cost of electrical works in residential flats Kalpataru Ltd.
81 Analysis of Fintech and its implications on a large wall street capital market firm CAPGEMINI INDIA PVT. LTD.
93 Gartner's Value Proposition for Small and Medium Scale Businesses in India Gartner India Research & Advisory Pvt. Ltd.
96 Maharashtra and North Key Accounts Draught Buiness: 1. Explore avenues for growth of draught business 2. Impact of imported, wheat beer and supplies from local micro-brewery in the draught business SABMiller India Ltd.
129 1.Mapping LRD potential in NCR 2.Scoping business potential and extending client universe for large corporates in Northern Region 3. Credit appraisal of potential clients Tata Capital Financial Services Ltd.
138 Competency Mapping and Simplification of Assessment Process for PED Titan Titan Company Ltd.
145 Market Research on changing customer perception towards Mutual Funds Anmol Share Broking Ltd.
146 Research study of latest e-wallet options by non-financial institutions in Indian market with respect to its impact on reduced usage of financial institutions’ instruments Capgemini India Pvt. Ltd.
197 Vehicle Routing Algorithm: Implementation of intelligent vehicle routing algorithm for automobile companies in their milk run system for procurement and spare part distribution network. GrayRoutes Technology Pvt. Ltd.
206 Business Process Mapping for existing PMS to E-PMS by migrating it to HRMS Piramal Enterprise Ltd.
To identify personal care and home care product usage in institutional markets like hotels, hospitals, restaurants, etc. Feasibility of Project Finance and Appraisal for upcoming Villa project. 1. Evaluate the performance of NPD (FG) 2. Reasons as to why KO volumes are declining. "Scope of Improvement of Aligned Despatch Compliance And Restructuring the Reporting Format" & "Scope of improvement of cubic feet utilization of the Containers". 75 "Project Appraisal of Infrastructure Projects with hands on experience of one Solar Power Project and one LNG Terminal Project"
105 Structuring of contracts for solar power plant.